We are constantly told that human traits - from aggression to gender differences - are 'hardwired'. 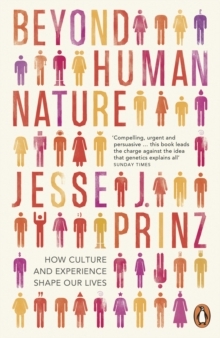 In Beyond Human Nature Jesse J. Prinz reveals that it is the societies we live in, not our genes, that determine how we think and feel. From why mental illness differs so widely between cultures to how geography influences morals, from our sexual preferences to how we learn languages, he proves that the vast diversity of behaviour is not ingrained. This is a book about humanity's power to transcend nature; and one that, ultimately, celebrates our differences. Jesse J. Prinz is currently a Distinguished Professor of philosophy at the City University of New York and an Adjunct Professor of Philosophy at the University of North Carolina at Chapel Hill where he taught until January 2009. 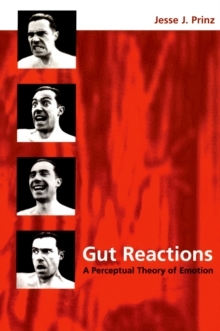 He works primarily in the philosophy of psychology and has produced books and articles on emotion, moral psychology, aesthetics and consciousness. 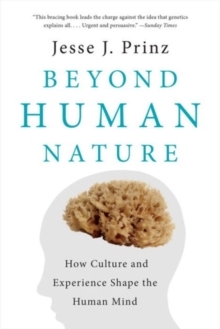 'From start to finish this book is a fine, balanced, enormously learned and informative blast on the trumpet of common sense and humane understanding ... wonderful' Simon Blackburn, New Statesman'The nature versus nurture tussle has been running for centuries, and into this fervid arena steps Jesse J.